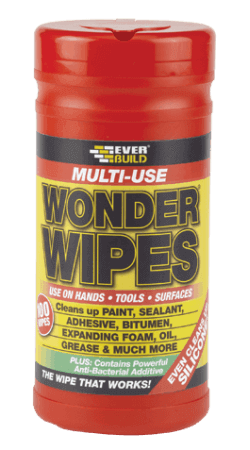 Wonder Wipes contain a powerful antibaterial additive which has been tested by an independent laboratory BSEN 1276:2009 and PREN 12054:1995 – The standards for killing bacteria on dirty surfaces and hands. 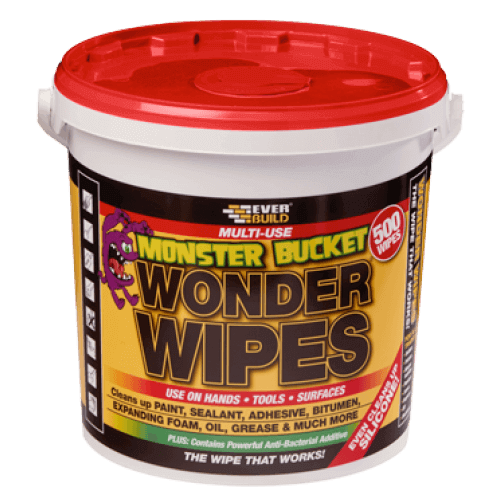 Wonder Wipes are resistant to MRST, Salmonella, Literia and E.Coli. – Oil, grease, petrol and inks. 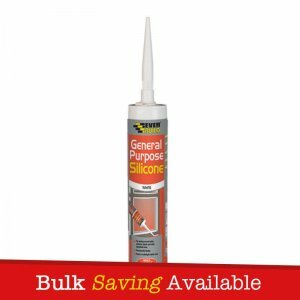 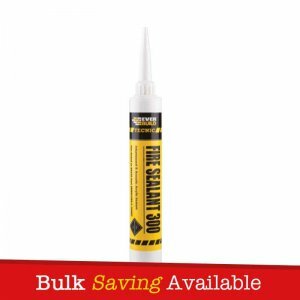 – Clean wet and Semi-cured paints. 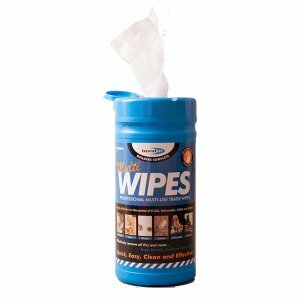 – Fresh scent after use. 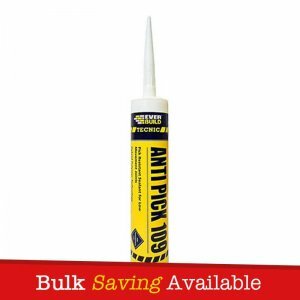 – Removes finger marks, dirt, grime, oil, grease, petrol inks, food stains, part cured sealant and paint smears.